Welcome to the 2014-2015 school year. 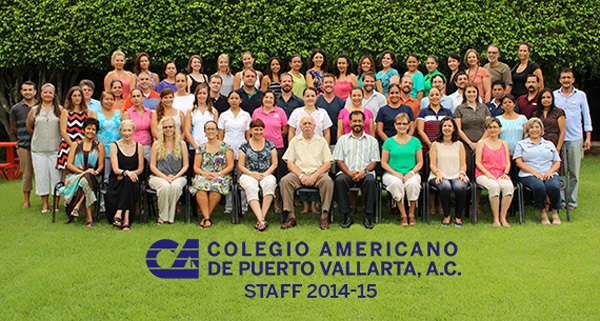 The American School Puerto Vallarta primary teachers are working hard to get things ready and make this school year one of the best ever. Classes will begin in pre-first through sixth grade on Thursday, August 21 at 8:00 as usual. Parents of students in nursery, pre kinder and kinder will meet with teachers on Thursday and Friday. Preschool will begin in Kinder on Monday, August 25. In nursery and prekinder some students will begin on Monday and others on Tuesday. Please call the primary office at (322) 221-1525 ext. 201 if you are unsure which day your child is to begin. • Please be sure to mark your child’s belongings with their name. • Please follow all the traffic rules and do not park in front of the school at dismissal. Be patient and friendly with new parents who are unfamiliar with the traffic rules. • Remember that if you want to enter campus after school you should arrive before 2:30 and enter through the upper school gate. • School policy requires that all students be checked for head lice after vacation. Please check your children and treat them now if necessary to avoid the annoyance of having to pick them up early from school. • The school uniforms are available in Undoskin in Plaza Marina. We would like to welcome all staff members to our beautiful campus and the new 2014-15 school year. We are excited to get going with new and renewed goals. Today is the first day of school, wishing everybody a great school year! !